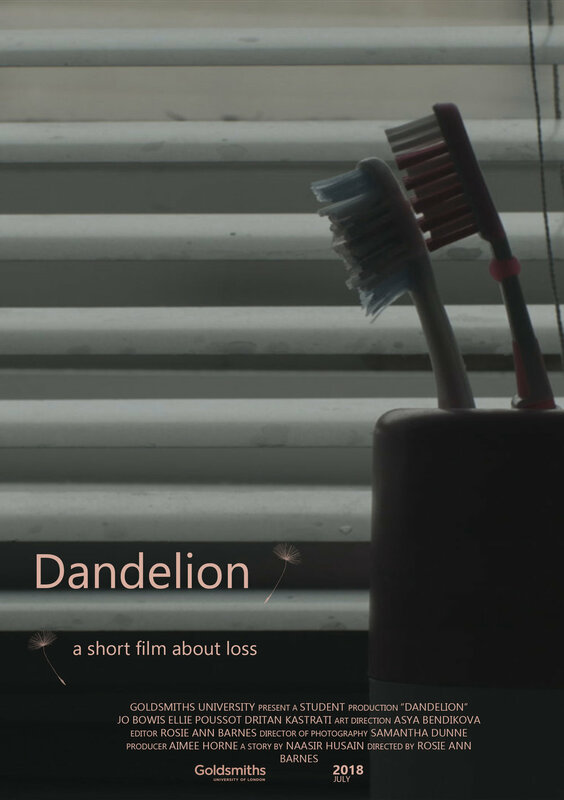 Dandelion is a 7-minute short film about a woman processing the loss of a loved one. It focuses on how spaces and objects can change when someone passes, and how once tender memories can be corrupted. The script takes the form of a minimalist monologue read by Jo Bowis. On screen is a montage of images exploring the distortion of memories, objects and space, starring Ellie Poussot and Dritan Kastrati. Dandelion very much encourages you to find your own interpretation of what you see and hear, meaning every viewing is an individual experience.